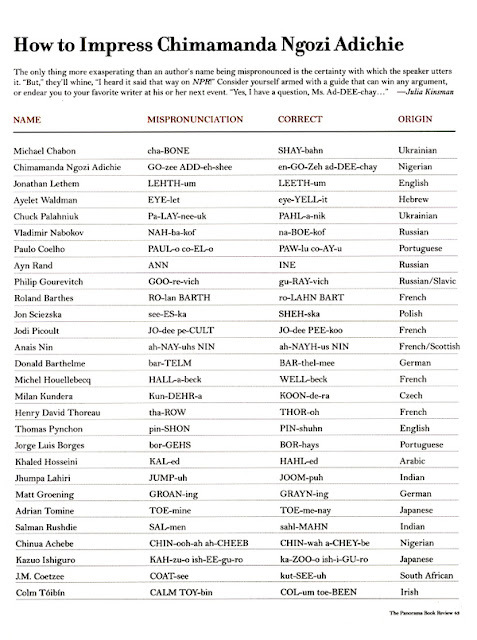 I don't know about you but I feel like a moron when I don't know the correct pronunciation of an author's name. This handy dandy chart will be useful. This is a great chart. I usually go on YouTube and try to find interviews with the authors so I can learn how to say their names correctly. Love this little cheat sheet.